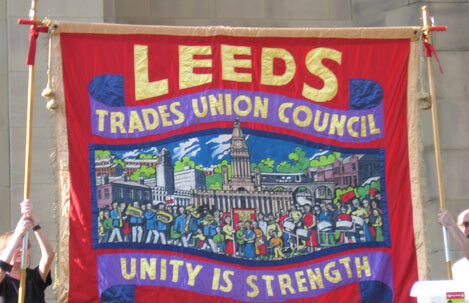 Leeds Trades Union Council is helping to organise coach transport to the End Austerity Now - National Demonstration on Saturday 20 June 2015. You can book a place free on a coach from Leeds West Yorkshire Playhouse at 7:00am to get to London to march from the Bank of England at 12 noon. You can book your place on a coach from Leeds by calling 0113 2458442.